Urgently needed: Good Quality, Humane, Capture and Release Cages. Because of our commitment to Ethical Conservation, and making the best possible decisions for the Wildlife Most at Risk, we are increasingly being called upon to Rescue and Relocate/Release Wildlife that are deemed to be 'problem animals'. We will do whatever it takes, and whatever is in our power, to help these animals to Freedom and Safety. 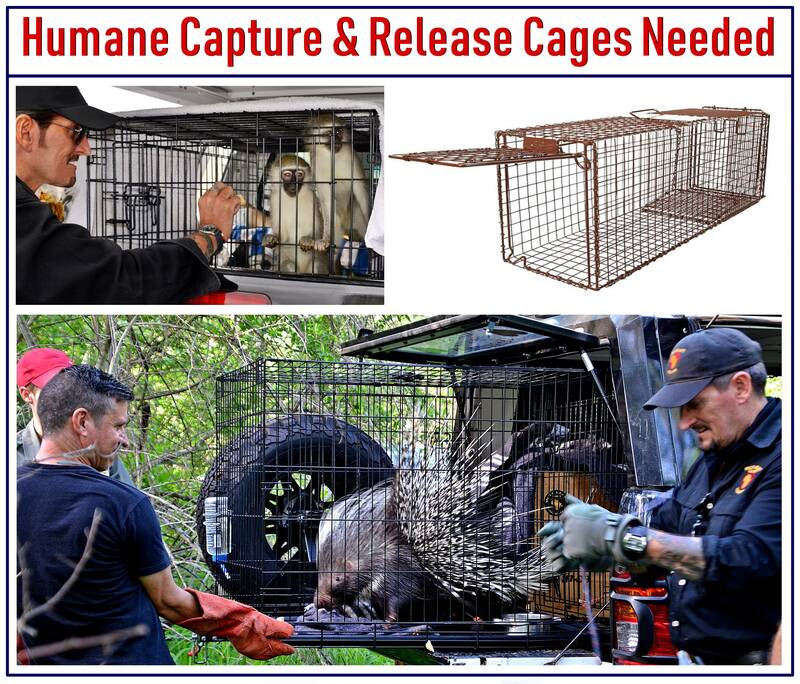 But we need your help: We are in urgent need of 5x medium capture cages, and one large one - this is to safely remove a colony of Dassies (Hyrax) that have invaded a home. 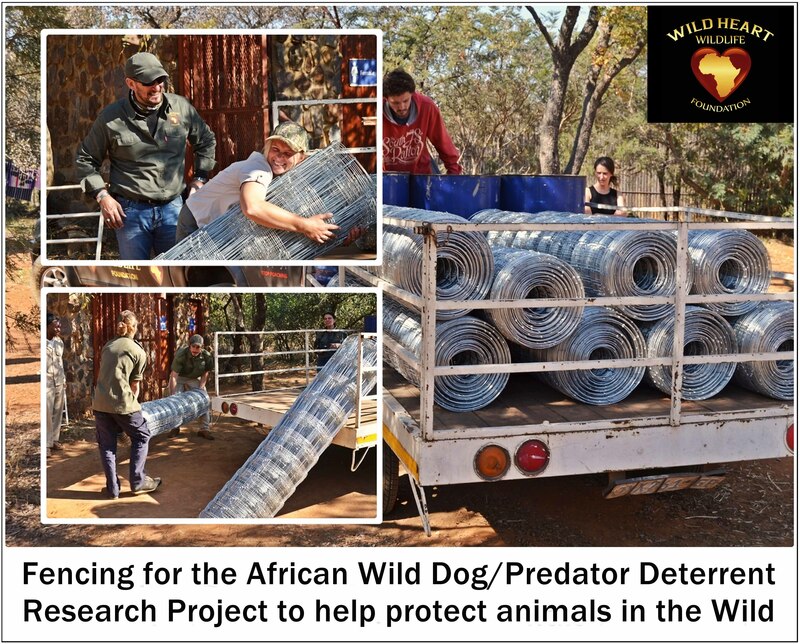 The bigger cage will be used for regular Porcupine problems as well as other medium sized critters in trouble, such as, Servals, Genets, Vervet monkeys and Jackals, to name a few. We need a number of cages as the Dassie colony is quite large, and also to minimize trauma when relocating these animals. The cost of these cages range from ZAR1250 (USD100) each for the medium ones, to around ZAR5000 (USD400) for the large one. Every donation will help to secure the future for wildlife in need. Also, if anyone has a capture cage that we can have, please let us know. As always, we are shopping around for the best possible deal/donation, and will keep you informed of progress. We will also show you what we have done with your loving Donations, in line with our commitment to Transparency. 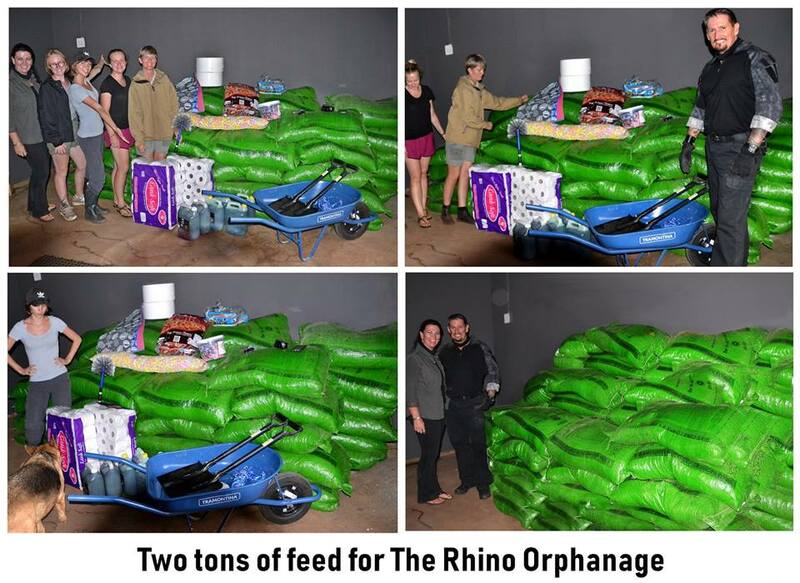 Pictured below is the recent delivery Wild Heart Wildlife Foundation made to the Rhino Orphans. The bigger rhinos get a mixture of lucerne/teff and Game Cubes of a high quality.The vet recommendation is to serve up 6 x 50kg bags of Game Pellets per day. One bag is R250 or USD20, and this means a daily serving is approximately USD120. Those cute round butts don't come cheap! 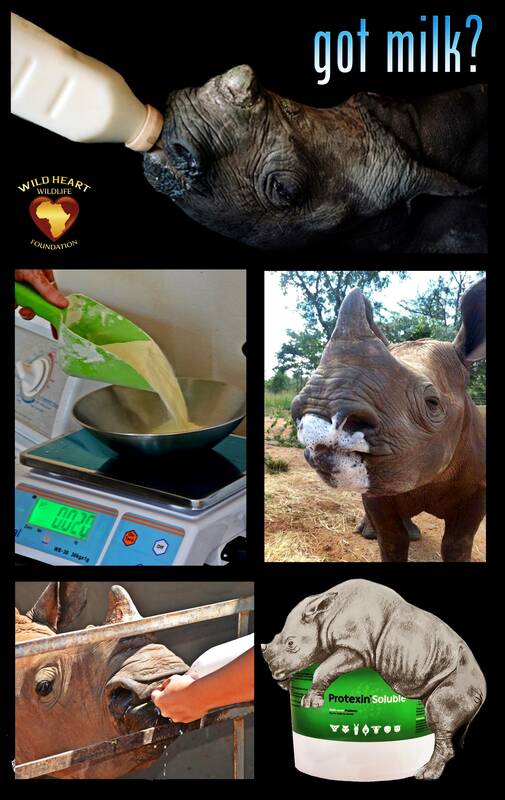 Milk Replacement and Pro-biotic Supplement needed for Baby Rhinos. 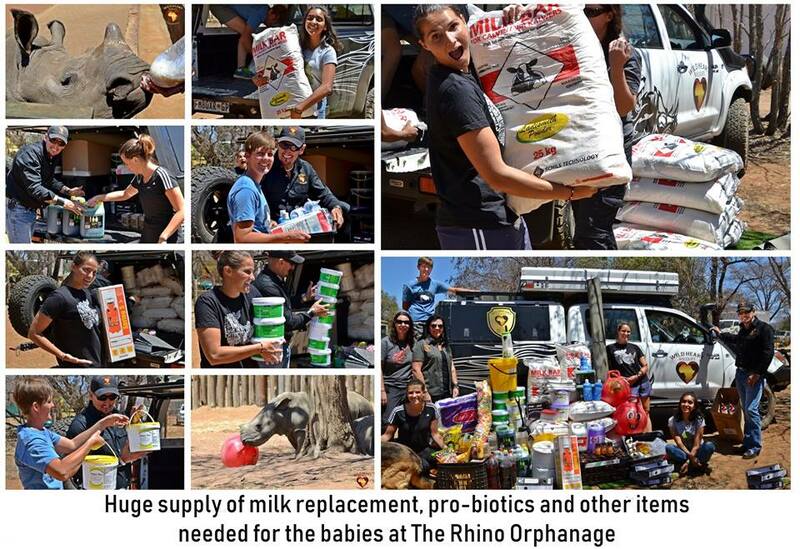 The Rhino Orphanage now has 9 Milk-dependent orphans that need a constant supply of milk replacement formula and pro-biotic supplement. Your help to purchase these life-saving items would be much appreciated. One x 25kg of Milk replacement is approx $65. and the Protexin pro-biotic is approx $30 per tub. Protexin is a palatable multi-strain probiotic powder which, when administered routinely, helps to ensure a beneficial balance of digestive tract micro-organisms. 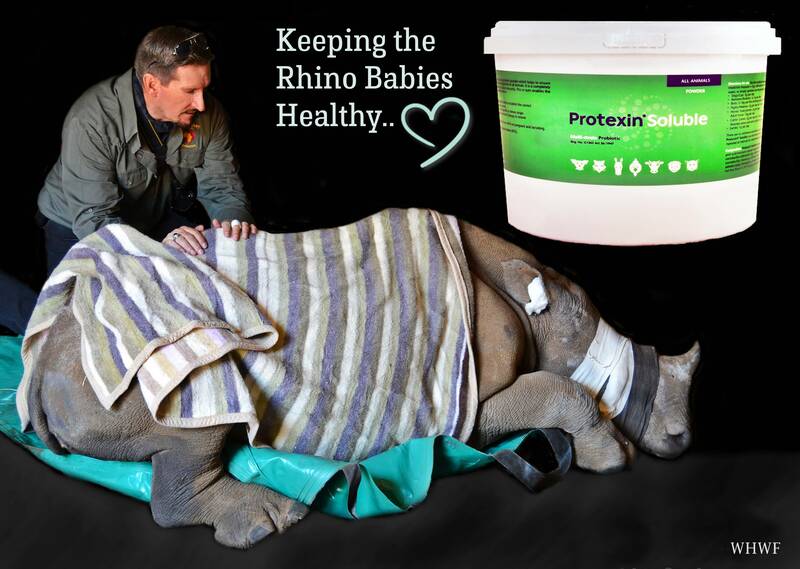 It is a completely natural biological product which helps to boost immunity, which in turn enables the Rhinos to resist the effects of stress and infections. Please help us purchase as many tubs of this life saving Protexin as possible. 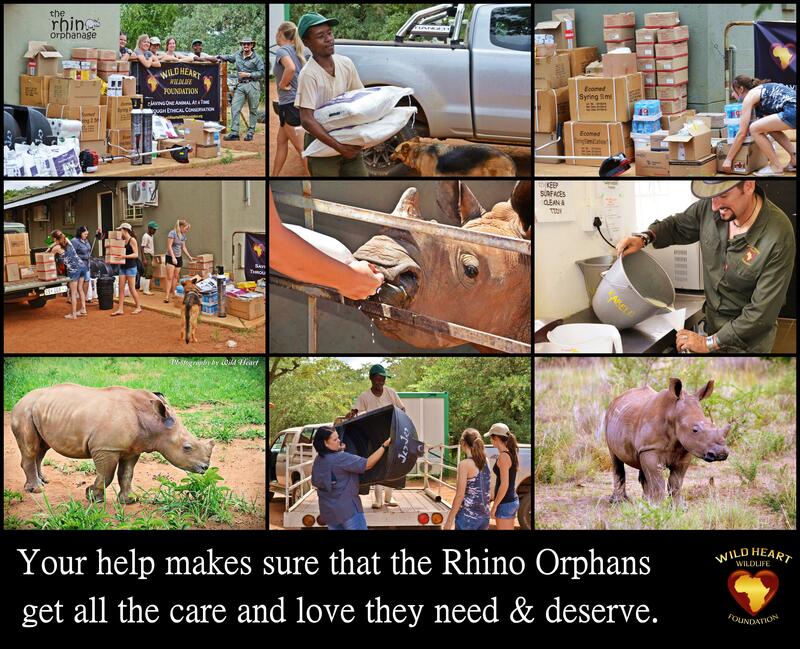 It’s time for Operation #RhinoOrphanCare – our Favourite Project - supplying The Rhino Orphans with everything they need! Running a Rhino Orphanage is a lot like running a farm, but with the added stress that all of your charges are highly traumatized and in various stages of veterinary treatment and rehabilitation. As always, we are committed to #EthicalConservation and #Transparency, and will show you exactly where your loving contributions are being used to benefit the Wildlife. 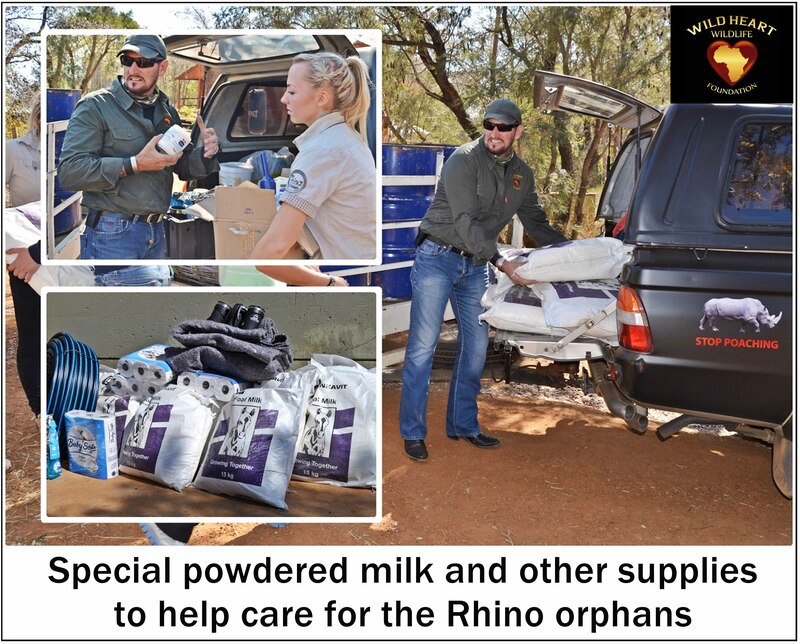 The items required to help a massive operation like the rhino orphanage run smoothly, include feed for the bigger rhino that are being weaned; milk powder for the smaller babies. (This is a special formula, as rhinos have very sensitive intestinal tracts, and do not adjust well to dietary fluctuations). A host of laboratory items are needed to collect and preserve samples of bacteria, excrement and eye serum – all needed to ensure adequate monitoring and treatment. This includes scalpels, sample kits, vacutainers, formalin etc. 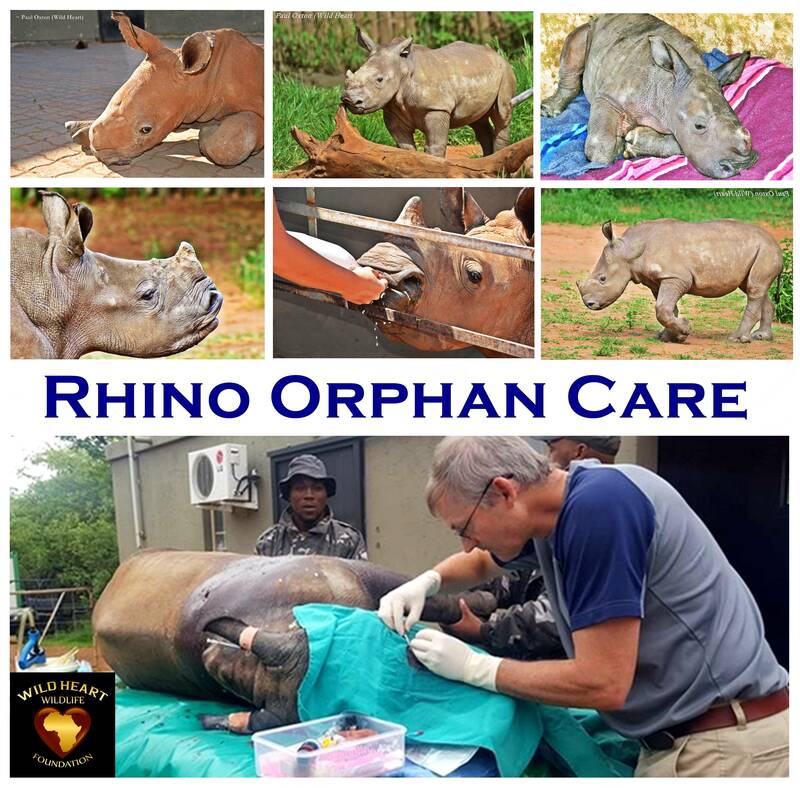 Rhino Orphan wound treatment kits required consist of hand-operated pressure sprays to flush out wounds from bullets or panga slashes, anti-bacterial hand sanitizers and methylated spirits. As the #RhinoOrphans initially bond closely with their surrogate mothers (the human carers), they sleep next to them on mattresses – strong canvass material is needed to protect these mattresses from non-potty trained rhino babies – as well as Velcro strips and strong yarn to make these. A host of other consumable items are needed, such as cleaning materials, hardware, tools and record-keeping items such as A4 paper and an external hard drive. The Anti-poaching guys protecting these precious rhinos and their carers, are in desperate need of a small guard hut to protect them from the elements during gate duty. These guys are dedicated and passionate, and endure many hardships to protect our heritage – let’s see if we can help make their lives a little easier! 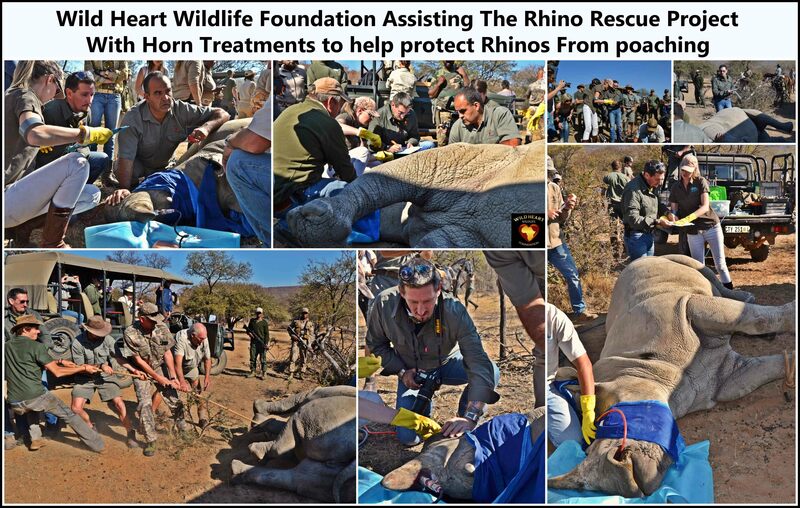 Wild Heart Wildlife Foundation regularly and consistently supplies the rhino orphanage with everything they need to look after the precious victims of poaching in their care. Over the past three years, we have supplied more than ZAR1.2million’s worth of special milk, food, medication, capital and infrastructure items to help the dedicated human carers to continue saving baby rhino lives. #WHWF always makes sure that your loving donations are maximized and directly reach the Wildlife most in need. We work off wish-lists that detail the items required to run these special rehabilitation projects. This ensures that the help we provide is targeted, direct, and needed – and makes a real difference to the wildlife, thus maximizing the probability of survival of these precious #WildBabies. 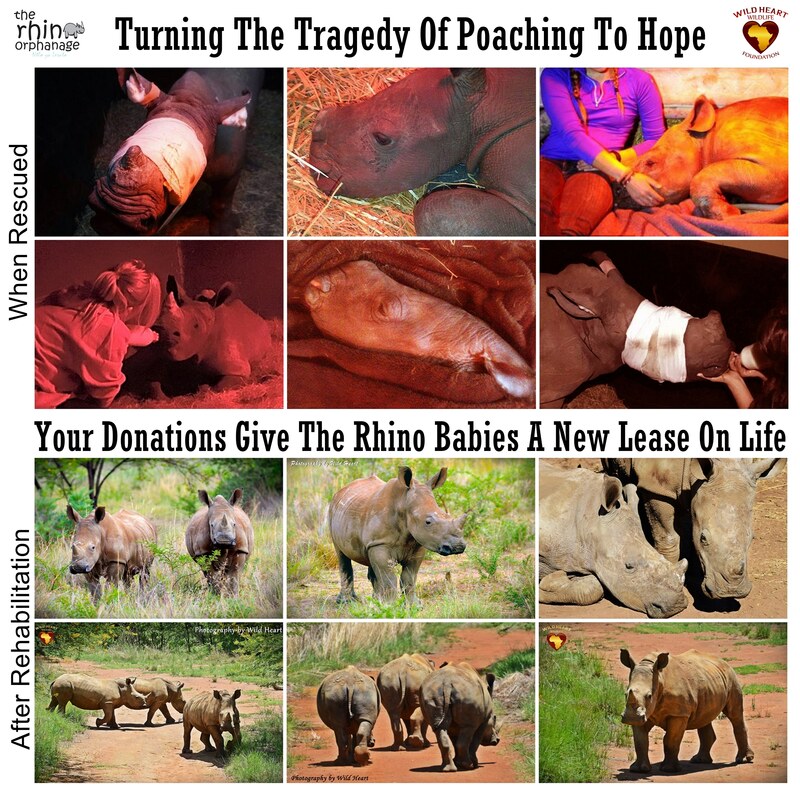 There is so much involved in saving these helpless victims, that we have to do our best to support the orphanage and enable them to focus on the care of the rhino orphans, without having to worry about things like what is on the list as shown. 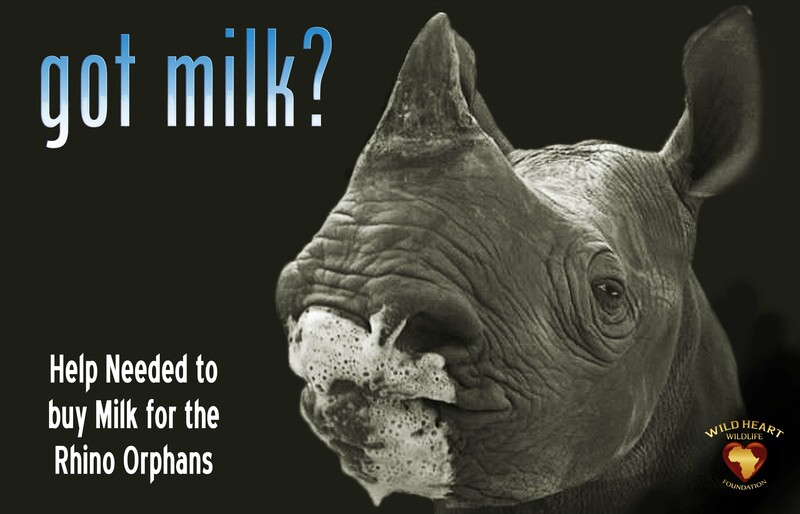 We are always in need of Milk replacement formula for the Rhino Babies, so are appealing to you to make a small donation to secure this life saving formula. Pictured below are one of our deliveries of medical equipment, food and general supplies, including thousands of syringes, oxygen tanks, special medications, water troughs, Game fencing, Shade netting, nutritional supplements, cleaning products and so many other items that are continually needed to help with the day to day operations of the orphanage. Below is little Nandi. just one of the orphans we help so that eventually she can be released back into a safe haven in the Wild. 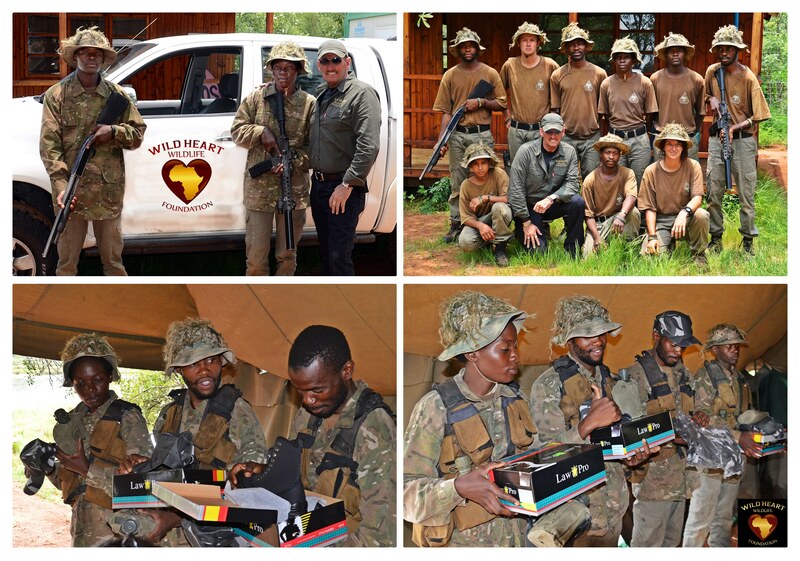 We are supporting our brave Rangers by providing them with supplies needed on the front line, where they continue to fight the war against Poaching. These care packages will be packed into 10x50 litre Camouflaged Military backpacks that we have already secured for the Rangers. We are committed to helping our wildlife in every way possible, therefore helping the Rangers who put their lives on the line to protect them is critically important. Help us honour these Heros by making a contribution towards their supplies. No amount is too small. please reference your donation with #HelpaHero. 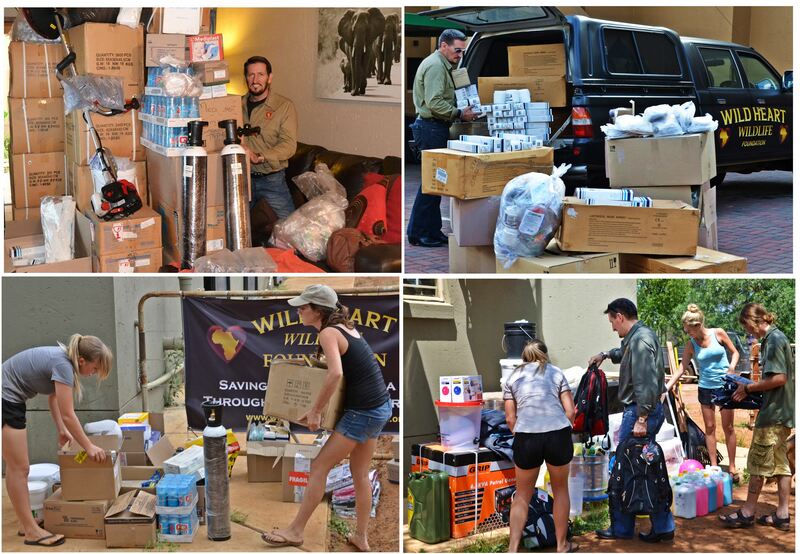 We also need boots, rain gear, jackets and water bottles for the Anti-Poaching Rangers. 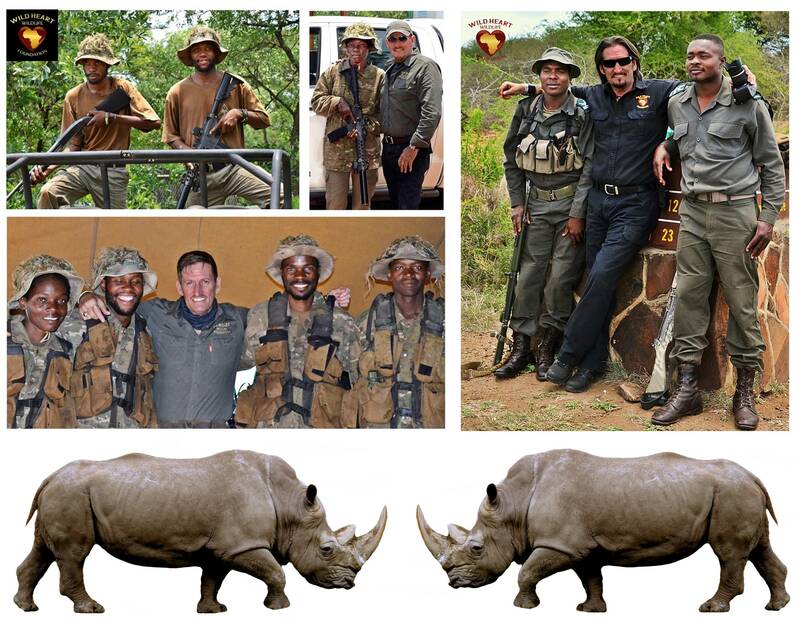 Help us support these Rangers who protect our Wildlife. Once again we are gearing up to do 'Kind things' for #WildLife, and we need your help to make it happen! Please #help and #share widely if you care about our #WildBabies. Remember the six #JackalPuppies we rescued some weeks back? They are doing great, and it is the needs of the Rehabilitation Center where they are, that we are focusing on right now. 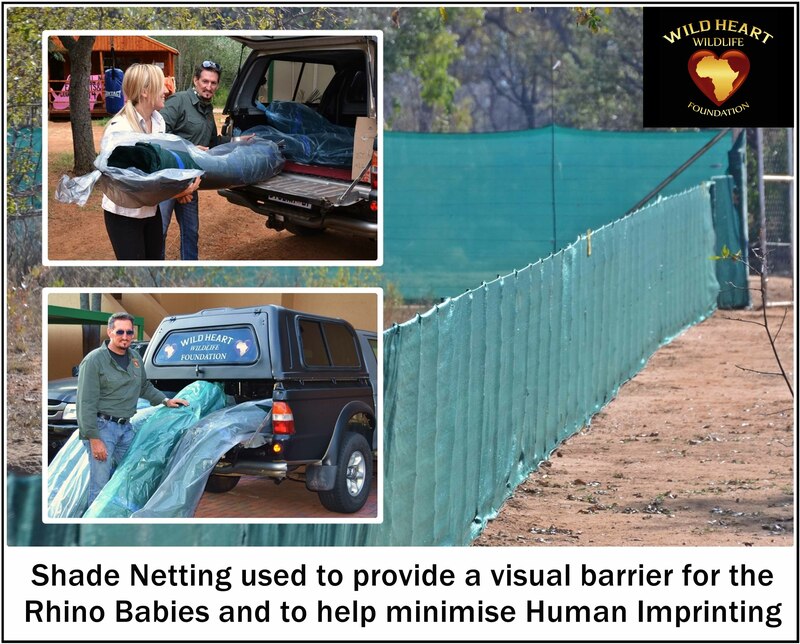 These are good people, doing great work for our #WildBabies. On the banks of the Crocodile River across from the Kruger Park, magic is happening. Rescue, Rehab and Release Magic. It’s called Wild and Free Wildlife Rehabilitation. Historically, treatment options for medium to small wildlife in crisis here, were very limited. There are still a multitude of wildlife, even outside of the Kruger, in farm areas, and also residential estates like Marloth Park, where the wildlife is allowed to roam free on the parkland between houses. Because of human encroachment, it often happens that these animals get hurt. Like an Endangered Shoebill #Stork, shot twice, they need help, locally, and quickly. Or several #Owls that got stuck in the wire mesh protecting the thatched roofs. A #genet also had a bizarre case of fishhooks stuck in his mouth, and was successfully treated by Wild and Free Wildlife Rehabilitation, and the Wildlife Veterinarian who assists. 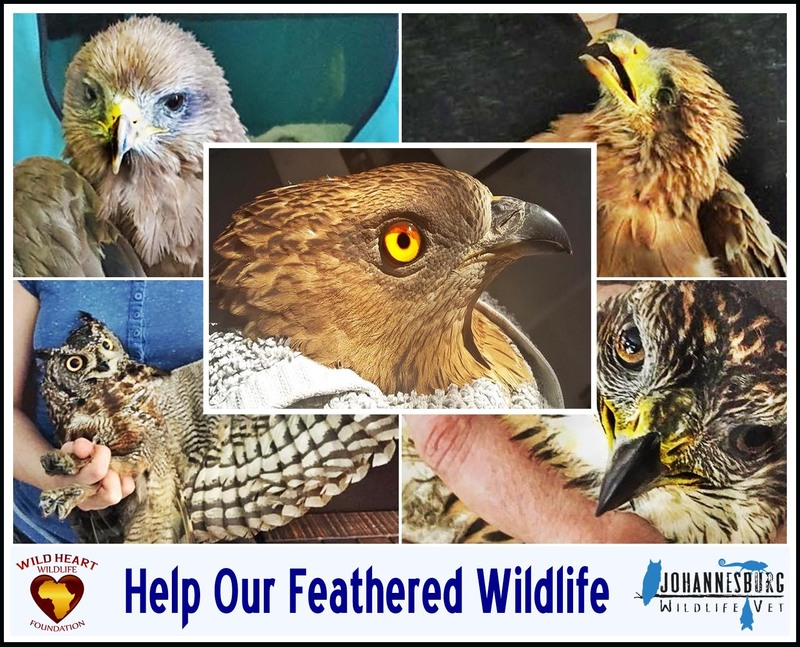 This is why Wild and Free Wildlife Rehabilitation is a project that needs our support. The dream of Deidre Joubert to open this Rehab Centre in Hectorspruit is finally a reality, with the kindness of landowner Willie Joubert, who has made a substantial piece of his very valuable riverside property available for the development of the Center. Deirdre has trained with the best, and has eight years’ experience in indigenous wildlife rehabilitation and is also a member of the International Wildlife Rehabilitation Fraternity. She currently has the challenging job of rearing some of the smallest #Genets rescued, ever. In line with Wild Heart Wildlife Foundation (#WHWF)’s commitment to #EthicalConservation, “Rescue, Rehabilitate and Release” is their motto. Timing is crucial in assisting the animals to remain completely wild, so the ability to respond quickly minimizes time between rescue, rehabilitation and release. This saves lives, and has been proven with several of the animals they have already helped. From a #serval whose mom died in a fire, to trapped owls, to #bushbabies in distress, to scrub #hares, all indigenous wildlife will have the very best chance of survival and to thrive, once again wild and free. Therefore it is critically important that the center is equipped with everything they need in order to respond quickly to an emergency. The people involved in this worthwhile and ambitious project, are of the very best kind – the ones who will always strive to help keep our Wildlife safe for future generations to enjoy. A lot of the medical consumables have been already provided by us in the past, but is constantly needed. We have been collecting items off their extensive wish-list for some time, as funding allowed. For instance, we have the stainless steel operating table (USD200) and the gram scale needed to to effectively examine patients, and weigh patients and medicines for accurate dosage. We now need just a little more help to make sure we can make a big impact in the lives of those that they rescue - those who have no voice but ours. Various medications and foods like AV plus for #birds, and an expensive milk replacement formula for the #felines in their care. The #Carnivores need a supplement to help aid their digestion systems during their rehabilitation process (USD40). The normal bandages, plasters, tape, gauze, cotton wool etc. are always needed too, as well as anti-bacterial soap and surface disinfectants. Bigger items include collapsible cages (USD 25 – USD 200 ea) and transport boxes, smaller items needed are a variety of food and waterbowls. Even a kiddies plastic sandpit can do its part in helping bird releases as it is used as a pond/bird bath for bigger birds. Can you help us help the ‘forgotten’, ‘less-glamorous’ wildlife that are essential to the #biodiversity and #ecological management of our last remaining wild areas? Any donations, big or small can help make this happen. If you are not financially in a position to help, why don’t you gather some old towels, unused dog kennels, or a forgotten kiddies plastic sandpit, and get it to us? In Johannesburg we will collect. As always, we will show you exactly where your kind donations are used. We remain committed to #EthicalConservation and #Transparency. 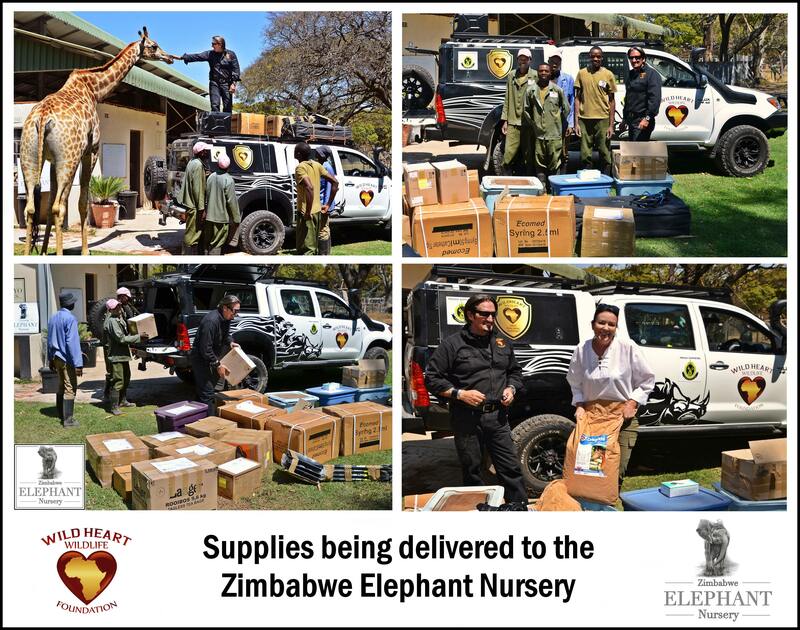 Wild Heart Wildlife Foundation successfully delivered lots of items needed to help the precious wild babies and their caregivers! Thank you to all the generous donors who made this project a success - we could not have done it without the public's generosity. 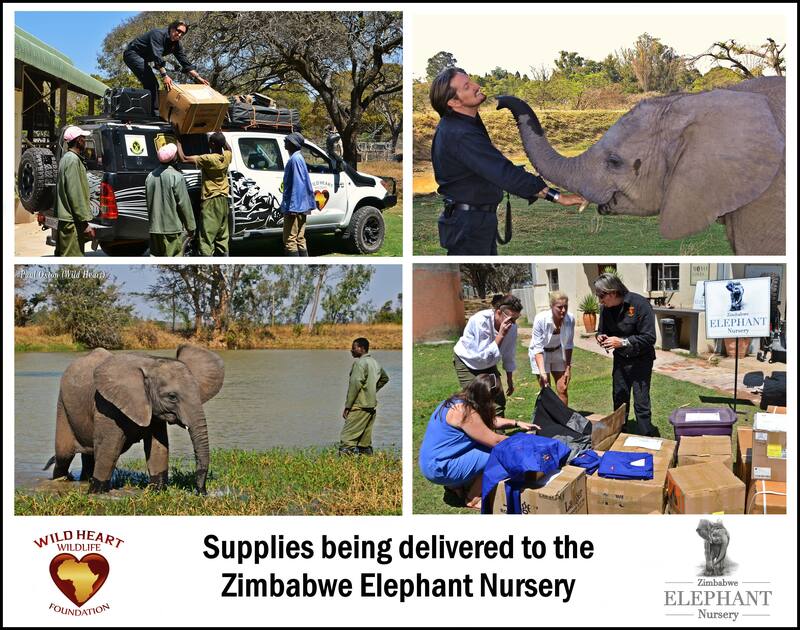 The Ellie Babies got lots of special milk, Medical supplies, Blankets and more. The dedicated handlers received new uniforms, Rain gear, Boots, warm Jackets, Scarves & Gloves among lots of other needed supplies. The wild babies and all the wonderful people who care for them deserve as much help as we can give. 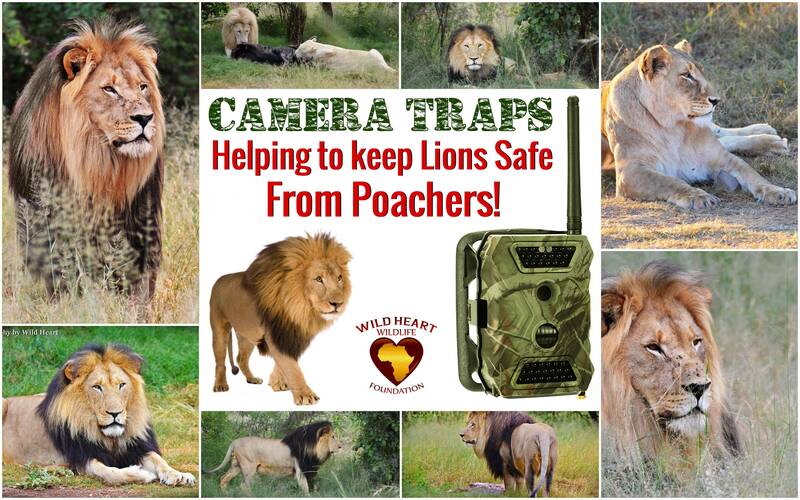 Anti-Poaching Camera Traps Needed to Keep our Lions Safe. Unfortunately poaching Lions has become a major problem in the wild as well as in the Sanctuaries that care for these magnificent big Cats. Since CITES and the SA government have allowed the trade in Lion bones, these animals are being targeted by poachers who are illegally selling Lion parts on the black market. WHWF has already supplied 3 of these Camera traps to one of the sanctuaries and has been successful in protecting the Lions but we need at least 4-5 more to be fully protected. These Anti-Poaching cameras are infrared and completely silent. They pick up any movement around the Lions' camps, they then take pictures/video and immediately send them to five cell phones - enabling the Rangers to be there within minutes to stop the poachers from killing the Lions. Each camera costs $380 U.S. and we would appreciate any help you can give towards these proven anti-poaching deterrents. We will, as always, show you when they are purchased and installed. 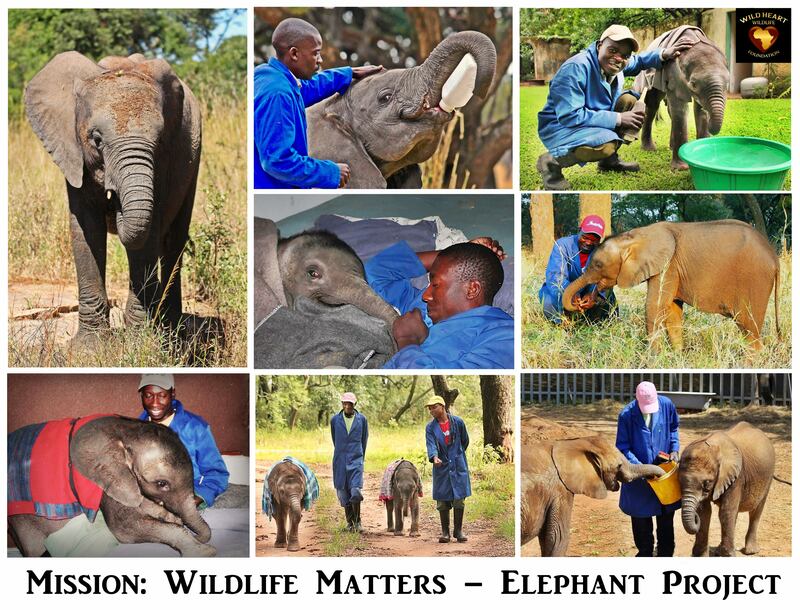 "Mission: Wildlife Matters" for Ellies campaign. There are only a handful of places left on the planet, where the welfare of Wildlife is of Paramount importance and WHWF made sure that help was provided. One such place is an established Elephant and Wildlife Sanctuary in Zimbabwe. The heart-breaking reality is that some of the most traumatized little Ellies in the world now call this place home, and were happy to have been able to help. The concept is to save and rehabilitate each wild baby one at a time, respecting the individual animal, and doing the utmost to make sure that they thrive, and can be re-wilded if at all possible. It is heart-breaking work, but also the most rewarding whenever a traumatized or sick animal fully recovers and can live a free and happy life again. Elephant Babies are so very fragile, even when not traumatized as most of the rescues here are. 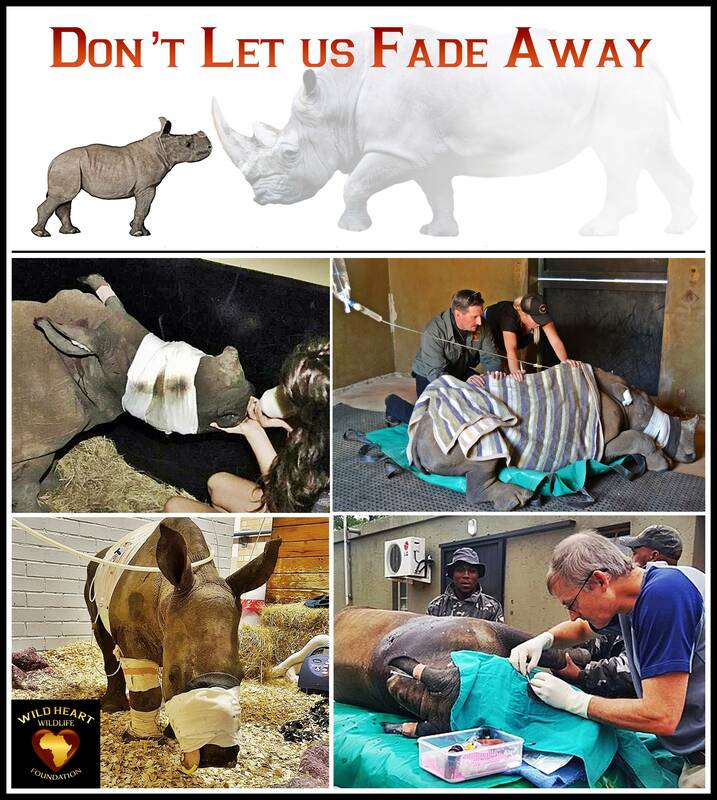 They often die soon after being rescued, like the tragedy that recently happened with little #Jabu at The Rhino Orphanage. Every rescued Elephant baby deserves the most dedicated attention and love so that they can have the best chance at survival. Around the clock care means that four carers are needed to look after each baby in shifts. They spend every minute of the day with them. The babies are never left on their own. As always, it takes a village to make a legitimate wildlife sanctuary run smoothly. Elephant babies need Special Milk Formula which cost about USD40 per tin; each baby elephant needs at least 30 tins per month. We want to be able to continue supplying formula, so that the carers can focus on rescuing the babies, instead of worrying about what to feed them, or how to fund the expensive, life-saving milk. We have supplied Veterinary consumables, tools for yardwork, uniforms for staff, medicines for wounds on traumatized babies, syringes, gloves, cleaning and sterilizing products, to second-hand pantyhose to tie the blankets around the baby elephants, needles, the list is endless. Because it is challenging for this Sanctuary to have access to all of these items, we strive to make a real difference, and stock them up well. As always, we are committed to #EthicalConservation, and have made sure that these items directly reached the animals most in need. Help us to continue our important work by making a donation, no amount is too small. 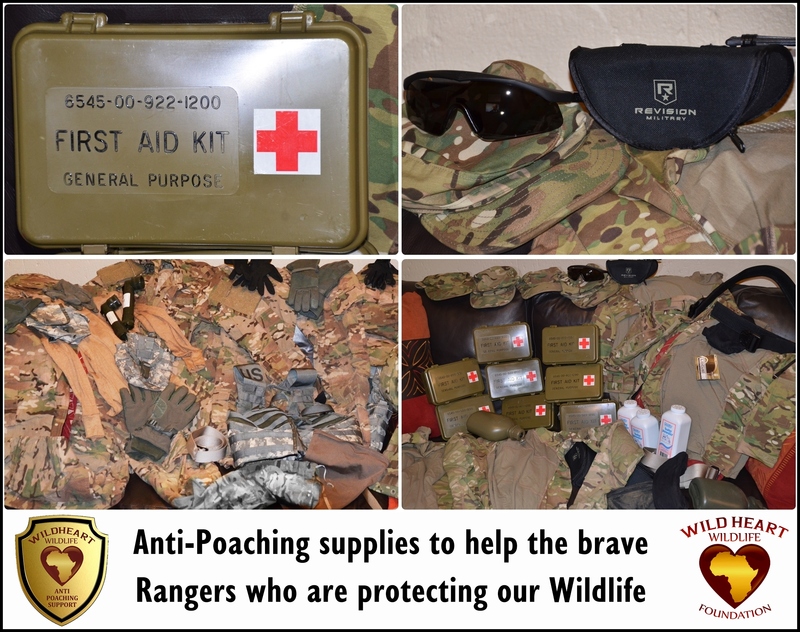 Below are the brave Anti-Poaching Rangers we help supply with Uniforms and equipment to help protect our precious wildlife. Your help to keep them properly equipped is much appreciated. 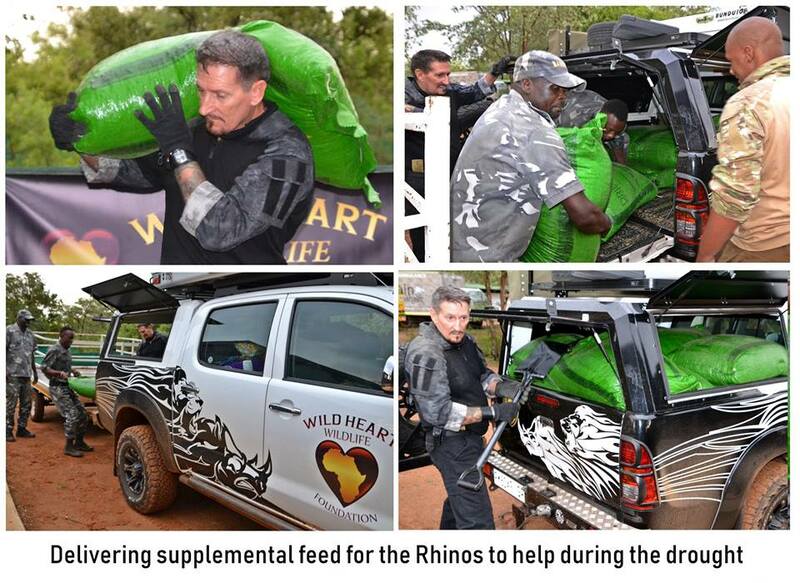 Wild Heart Wildlife Foundation has to date supplied a significant portion of supplies to Rhino Orphanages in South Africa, including over 1000 Kilo's (2,200 lbs) of milk powder, specialized food and health supplies and critical care medical items as well as other desperately needed equipment such as shovels, spades, rakes and cleaning materials, Shade netting, Field fencing for the Wild Dogs, Anti-Poaching Ranger gear and camera traps to help protect the Lions in the Sanctuary - all required to keep the orphanages and sanctuary operational. Doing What We Say, and Showing What We Do! First of all we want to thank all the people who donated to Wild Heart Wildlife Foundation who helped fund the rescue of Leila who has been kept chained up like prisoner at a park in Huambo Angola. John Grobler has been working tirelessly to secure the release of Leila in Angola and as a result, the papers for her transport to Luanda have been completed and are ready to be picked up today. We are very hopeful that Leila will now be going to her new home where she will be free from her chains and not used as entertainment for the ignorant.. This video by John Grobler shows Leila's love for a pineapple that she has probably never tasted before this day. Update: Leila has been rescued and moved to a safe facility in Luanda where she is being loved and cared for. When the correct permits and travel arrangements are taken care of, Leila will be taken to a dedicated sanctuary. To help us with other projects like these that directly help wildlife on the ground, please consider making a small donation to WHWF. URGENTLY NEEDED! Birds of Prey Rehabilitation Enclosures. Sometimes, our persecuted Wildlife gets lucky. It doesn't happen often, but it happens occasionally, when passionate people decide to pour their heart and soul into #EthicalConservation. In Johannesburg, South Africa, our Wildlife just got lucky. The team at the Jhb Wildlife Veterinary Hospital is dedicated to treating and rehabilitating small to medium-sized urban wildlife. 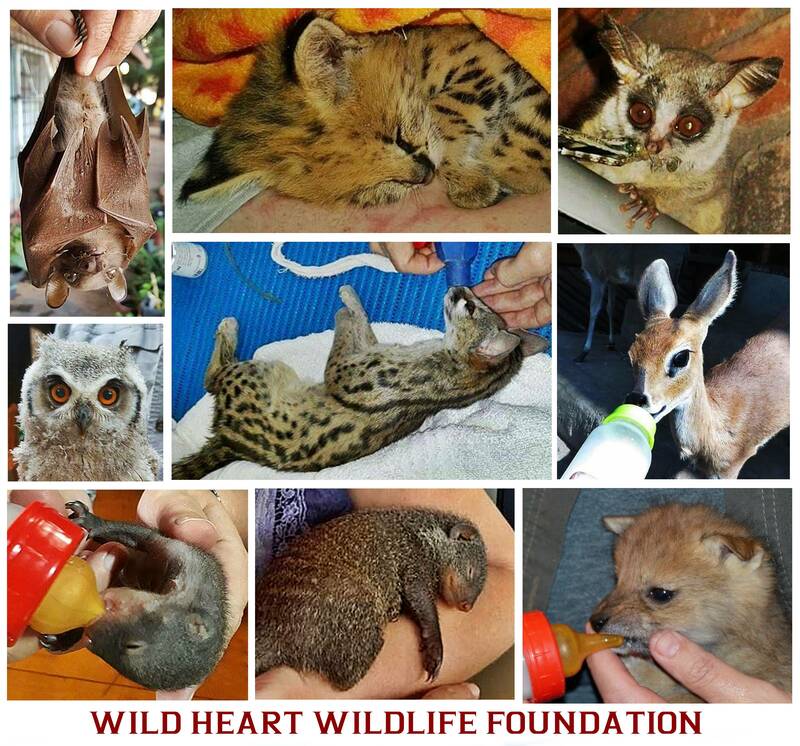 A few weeks ago, Wild Heart Wildlife Foundation did a surprise #SupplyDrop for them, stocking them up on veterinary medicines and consumables numbering hundreds of items, to the value of over R20 000. This was a great start, but we have to do more! All the animals here are treated at no charge, and the aim is always successful re-wilding and release. We have to put the animals first, be their voice, and give them the best chance at survival. A substantial number of the patients are raptors, and they need specialist care. In the pictures you can see a selection of the beautiful birds of prey who have been treated here. ***Urgently Needed right now is 3 x Rehabilitation Enclosures for these winged wonders. Having the proper enclosures aid rehabilitation and improves the survival rate of rescues. The enclosures are made out of a steel framework with gate, diamond-mesh covered and completely enclosed in shade-netting to minimize trauma and external stimuli. They are 5m in length, and 2.4m wide, so that a pre-flight test can easily be accommodated. We have sourced the manufacturers, and just need that magical ingredient - your support - to make these life-saving enclosures a reality. The cost is R25 000 (1,800 USD) for all three enclosures. The injured Birds of Prey really need this. Every single cent will help towards being the wind beneath their wings, and will help set them up for that sweet flight of freedom. As always we will keep you updated on progress, from the building to the delivery and installation of these critically needed rooms.